Get serious when playing Gran Turismo® with the limited edition Playseat® Gran Turismo racing seat. Fully upholstered in black alcantara, with the official Gran Turismo® logo on the chair's front and back, the Playseat® Gran Turismo seat puts you smack dab in the middle of the track. 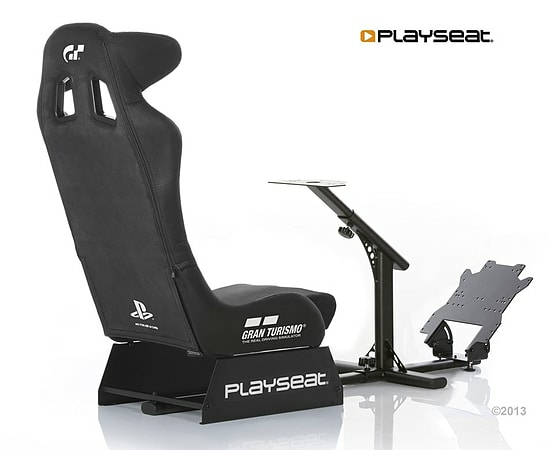 The Playseat® Gran Turismo racing seat features Gran Turismo® graphics. A patented folding system allows for easy storage. The seat is outfitted with an extra-strong, black, powder-coated tubular steel frame and a special pedal support plate with a high-tension spring and wire system. As a result, the seat feels stable and authentic, as though you're driving a genuine racecar. The pedal plate also supports multi-point tuning for the gas and brake pedals and the steering wheel support, so you can fine-tune the action to your liking. And racers will love the removable seat cushions and patented folding system, which make it easy to store the seat out of the way when you're done playing. 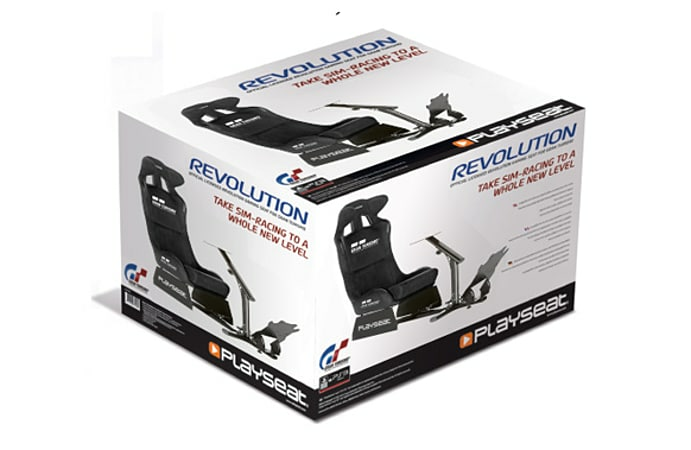 Best of all, it's a breeze to get started on the Playseat® Gran Turismo seat: just install a gaming steering wheel and gas and brake pedals (sold separately) and you're ready to go.